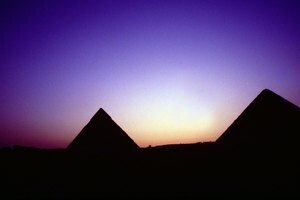 Did Men and Women Share Political Power in Ancient Egypt? 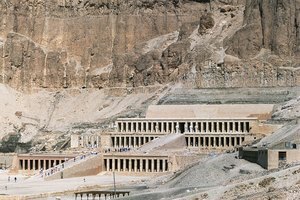 Why Was Hatshepsut Unusual Among the Pharaohs of Ancient Egypt? Queen Nefertiti was one of the most beautiful and powerful women in ancient Egypt. Life for women in ancient Egypt played out much differently than it did for females in other ancient cultures, including Greece. 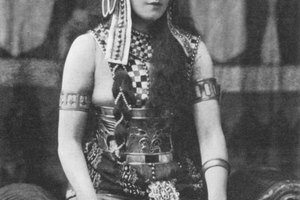 Although several prominent women held powerful positions in Egyptian government, women in general had a great deal of autonomy and power in Egyptian society. The women in power held the position of either king or queen. According to the BBC, the equality of women in ancient Egyptian society had a great deal to do with a belief in a cosmic balance of power between male and female. They could own property, deal with financial matters and move about society freely. Even the titles that women had held a different significance than they do today. For example, to say that a woman was the "mistress of the house" acknowledged that running a financially fiscal house required a great deal of business acumen and administrative prowess. When women worked outside the home, they also received the same pay as men, and in matters of violence and war, some women became sufficiently powerful to be named enemies of the state. Nefertiti counted among the most beautiful women in all of ancient Egypt. She was the wife of Amenhotep IV, or Akhenaten, as he was more commonly known. Nefertiti provided support for her husband, particularly in his efforts to turn Egypt away from the polytheism that was common before his reign. 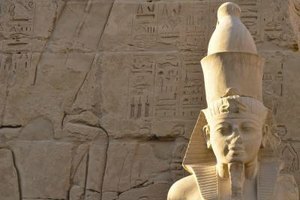 The pharaoh turned ancient Egypt into a monotheistic society that worshiped the sun god, Aten. As queen, Nefertiti helped promote her husband's activities by participating in religious ceremonies. Biography.com suggests that unlike many women of her day, the queen seemed to hold the genuine romantic affections of her husband. He even built her a temple so that she would be worshiped as a goddess. Queen Hatshepsut reigned for 22 years and had herself depicted as a king in her official reliefs and other documents. She called herself the "King of Upper and Lower Egypt" and came to power in part by circumstance and deception. Rule of Egypt was to go to her stepson, Thutmose II, according to the official declaration of her father, King Thutmose I. As was the custom in ancient Egypt, she ruled in her stepson's place, because he was too young to assume the throne when his father died. With her hands already on the reins, she furthered her powers by usurping the throne from Thutmose II and by using propaganda to gain the support of the Egyptian people. Cleopatra probably counts as Egypt's most popular queen. The daughter of Ptolemy XII, this ancient Egyptian monarch reigned over Egypt for almost 30 years. She was clever and could be cunning to maintain her power. Cleopatra gained right to the throne at 17, but was forced out of the country due to threats from her brother. However, when Julius Caesar came to Alexandria, Cleopatra encouraged her servant to hide her in a rolled up carpet and then had the servant deliver the carpet to the Roman ruler. The queen presented herself to the Roman ruler, regained her power and went on to have a son by Caesar. Evidence suggests that despite her unconventional methods, she enjoyed widespread popularity among her people. Smithsonian Magazine: Who Was Cleopatra? Buffy Naillon has worked in the media industry since 1999, contributing to Germany's "Der Spiegel" magazine and various websites. She received a bachelor's degree in German from Boise State University. Naillon also attended New York University and participated in the foreign exchange program at Germany's Saarland University. She is completing her master's degree in educational technology at Boise State. What Powers Does Nike the Goddess Have? Naillon, Buffy. "Females in Power in Ancient Egypt." 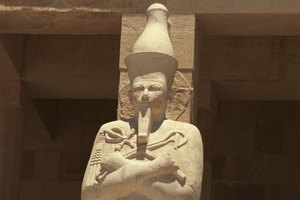 Synonym, https://classroom.synonym.com/females-power-ancient-egypt-11123.html. Accessed 18 April 2019.